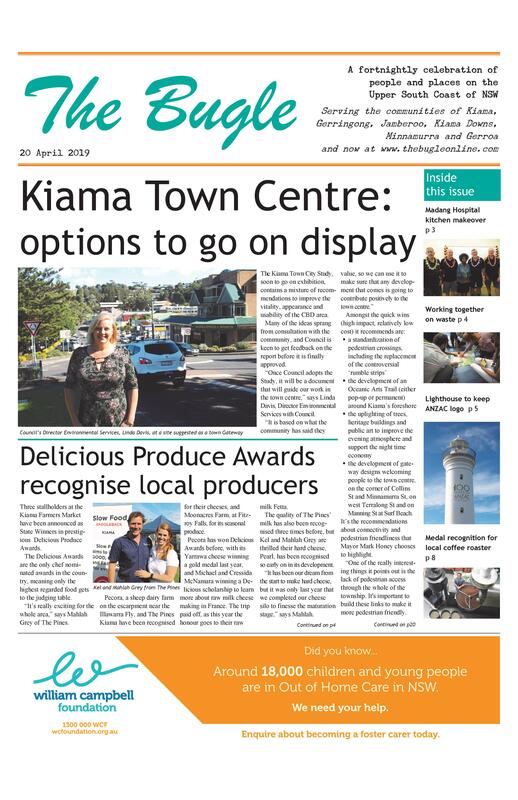 Buoyed by this year’s success, the initiators of the Kiama International Seaside (KISS) Arts Festival are proposing a change of date and venue to make the event an even bigger drawcard for the town. Dave Evans and Tamara Campbell, both well established international street theatre and cabaret performers, launched the first KISS Arts Festival four years ago with the aim of bringing a taste of European festival life to Kiama. For the next stage of the Festival’s development, the proposal is to centralise the action down within the Black Beach market precinct, over a Friday afternoon/evening and a Saturday day/night. “The aim of the 2016 event is to create a KISS Arts Festival village around Kiama’s iconic harbour,” says Dave Evans. “Our vision is for the path around the harbour to be converted into a bustling, atmospheric maritime themed walkway with the sea on one side and a host of entertainment venues, food stalls, community stages and comic characters on the other. Last year the harbour area was used for a chalk art masterclass, and Pascale and KiKi (Dave and Tamara’s alter egos) presented the winners of the busking competition their prizes down at the Kiama Farmers’ Market. “Being down there certainly helped inspire this new stage of the Festival’s development,” says Dave. As with earlier years, the event will be free to the public apart from donations made to street performers. The pair have approached Council for $10,000 to help stage the Festival, as well as seeking funding from other sources. We love the KISS Arts Festival. Good luck Dave & Tamara, love your work!